Concertina Press is based out of sunny Florida, but I used to live on Cape Cod year round in Falmouth, and I was married there, too! Concertina Press is a LGBTQ friendly business. I am happy to work with you, you are welcome here! 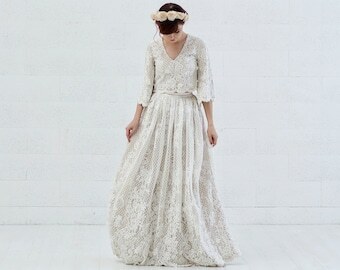 "Ruth is an exceptional artist and artisan! She was very prompt to stay in communication with me throughout my ordering process...It was so comforting to work with her through the stressful process of ordering the perfect wedding invitations! I absolutely LOVE the way her products turned out, Thank you SO MUCH Ruth, your kindness and professionalism have helped me more than you know!" Exactly what I was looking for. Quality is amazing and super fast shipping! 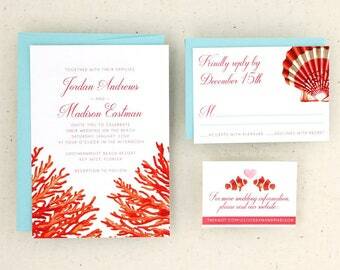 These cards are absolutely stunning and great quality. They shipped and arrived quickly. And, the owner is too sweet! I highly recommend this shop! 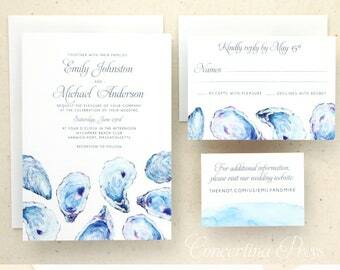 Watercolor Oyster Wedding Invitations inspired by my time living on Cape Cod. Can you smell the sea air? 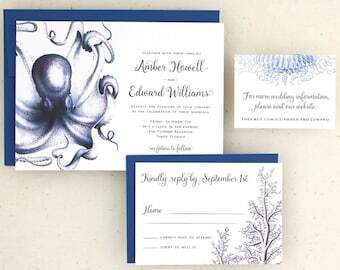 Eye-catching Octopus Save the Dates now feature more sea life illustrations on the backs! Going for a sunset sail in Florida to soak up some nautical inspiration. I love sailing! 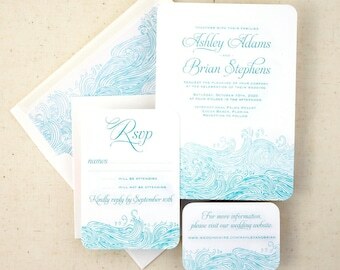 I line every Waves Invitation envelope by hand - and I love doing it! 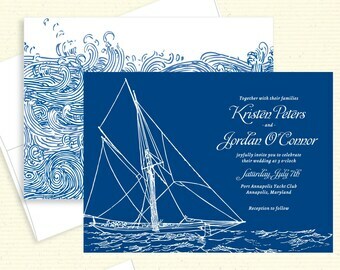 Cape Cod Wedding Invitations - I was married in Falmouth, and lived there for 11 years before moving South in 2013. 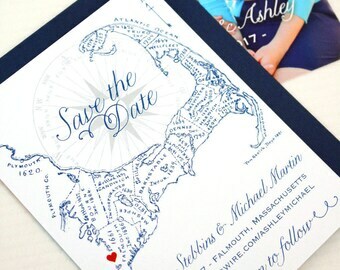 Video summary: Here's a little video of me packaging up some lovely customized Cape Cod Save the Dates, a design I created by digitally restoring an antique map when I lived on the Cape from 2003-2013. Hi! 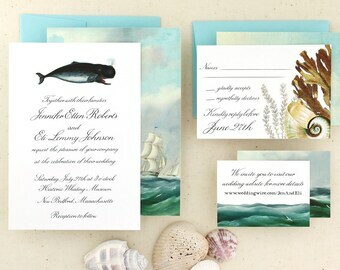 I'm Ruth, Owner/Designer of Concertina Press and I create unique stationery using antique nautical scientific illustrations from my home studio on the sunny East coast of Florida, where I relocated from Falmouth, MA on Cape Cod several years ago. 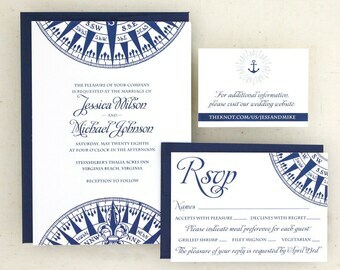 My goal is to offer beautifully printed nautical stationery that you won't find ANYWHERE else, and if you're a wedding customer, I want to make the experience of purchasing wedding invitations go as smoothly as possible so you can spend time looking forward to the big day, rather than worrying about the tiny details of your stationery - I make sure each design looks awesome before it goes to print. 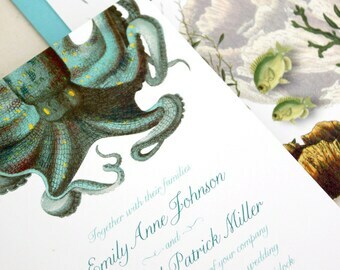 Customers have told me over and over how many great compliments they've gotten on their stationery or wedding invitations - I invite you to read my shop reviews and see for yourself! I majored in Studio Art in college, specializing in the esoteric art of bookbinding, and after school I worked in a scientific library where I discovered a treasure trove of gorgeous antique scientific illustrations. Can you imagine my delight at opening an old journal from 1875 titled "Zoologische Abhandlungen" and seeing these gorgeous old pictures of fish and animals for the first time? There are so many gorgeous old scientific illustrations languishing inside of scientific journals, I knew I had to figure out some way to showcase them. 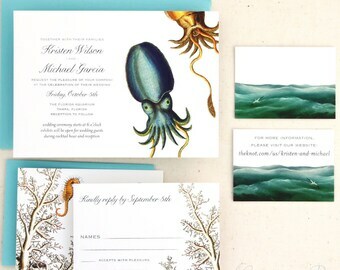 After working in the library I worked in a stationery shop, and while I was there I learned all about stationery and invitation design, and in the spring of 2011 when that shop closed, I took the leap to start my own line, Concertina Press, combining my love of antique nautical illustrations and stationery. So far it's been wonderful and is absolutely the best job I've ever had. 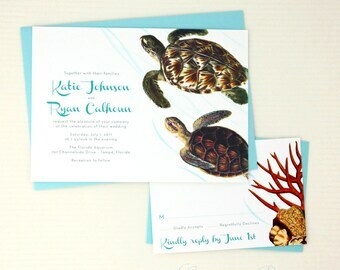 If you are interested in carrying my cards wholesale, please contact me using the link at left. My other specialty is binding books by hand using traditional techniques to create colorful journals, photo albums and guest books. You can learn more by visiting my blog, or my etsy shop. Welcome to my shop! I'm so glad you stopped by. 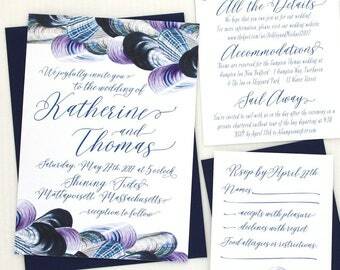 Concertina Press is a one-woman production, owned and operated by Ruth Bleakley since 2011. I do all of the designing, emailing, printing and production myself here in my sunny Florida studio. 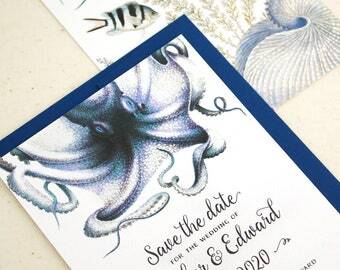 My inspiration comes from the antique nautical illustrations that I digitally restore to create these memorable invitations for beach weddings and aquarium weddings. 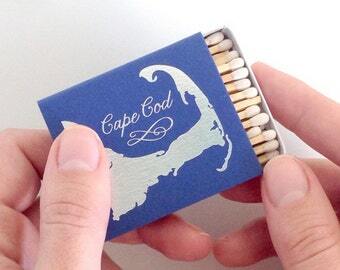 I also have a warm place in my heart for Cape Cod, where I was married in 7-7-7 on the beach in Falmouth at sunrise. My husband and I lived in a beautiful 200 year old house on Woods Hole Road for 7 years before moving down to sunny Florida to be closer to my folks. I usually check my email in the afternoon during business hours and I'll get back to you as soon as I can, usually within 1 business day. 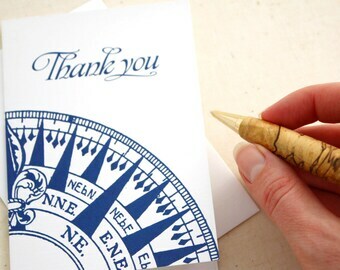 All customers ordering customized products will receive a digital proof to sign off on prior to printing. Approving a proof for print indicates that you understand that no additional changes can be made once the proof is finalized, without incurring additional charges. It's very important to me that you love your order though - If you had less than a five star experience, please contact me first and I'll do my best to make it right! 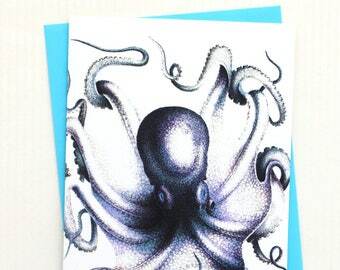 I'm willing to accept returns on non-personalized items such as greeting cards provided they are in the same condition that they arrived to you in, buyer pays for shipping back to me. Refund will be via Pay Pal. Please contact me first if you intend to return something. I accept order cancellations if I haven't shipped your item yet - get in touch as soon as possible if you need to cancel. Payment methods accepted include secure credit card payments directly through etsy checkout or Paypal - you can use a credit card to pay for your order through Paypal, even without signing up for an account. If you'd prefer to pay for your item through a check please contact me first. 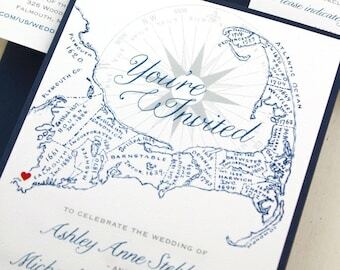 Customized orders like guest book posters, invitations and save the dates have a 2 week turnaround for production from when proofs are approved for print. Samples, Greeting Cards and Notecard Sets ship within one to two business days of my receiving them - that means if you order on a Friday, your order will be shipped on Monday or Tuesday of the following week. IMPORTANT: the shipping options I offer do NOT have guaranteed delivery dates - USPS offers the best prices but if you need your item delivered within a short time frame or on a guaranteed date, please get in touch to talk to me about Fed Ex or UPS options. I ship samples and single cards via first class mail. Wedding Invitations and Save the Dates are shipped via Priority Mail with signature confirmation, tracking, and insurance. I have a wholesale line sheet I'd be happy to mail to you, if you're interested in greeting cards or boxed notes for your store. 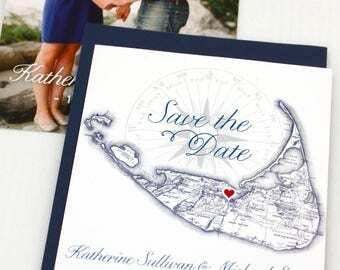 My turnaround time for wedding invitations and save the dates is typically two weeks from when digital proofs are approved for print. After you pay your deposit to begin the order I send digital proofs within three business days of receiving your wording information. Rush options are also available, contact me for more info!